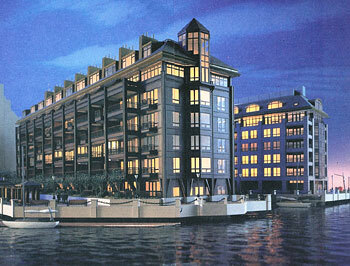 Burroughs Wharf offers owners not only luxury but striking balconies with harbor and city views. Perhaps the most yacht-friendly building in Boston, residents with boats may own their own marina slip or simply use the shuttle to Logan when travelling. A short walk to Quincy Market, Faneuil Hall, the Financial District, and the North End, Burroughs Wharf is located in one of the best areas of the city. Italian lovers are only steps from the North End which is home to some of the country’s best Italian cuisine.